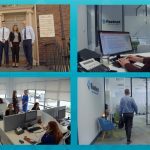 VIDEOZOOM were commissioned by Cork Chamber to produce a promotional video for the Biznetcork Skillnet Business School. The video will be featured at this years graduation ceremony at the Maryborough Hotel & Spa to honour the achievements of the graduates. Cork Chamber manages BiznetCork Skillnet who are funded by Skillnets Ltd, through the Department of Education and Skills, and member company contributions. Biznetcork Skillnet, now in existence over ten years, offers a broad range of open training courses and networking events to address the varied training needs of Cork Chamber member companies, who operate at all levels across all industry sectors. As a government-funded network, Biznetcork Skillnet can offer significant subsidies to member companies wishing to engage in their training activities. The training is specifically organised in response to member company needs, ensuring that all training offered is relevant to current business needs. Biznetcork Skillnet contracted training providers have passed through a rigorous tendering process, ensuring the most experienced, effective trainers in their subject areas. Video production services Cork and nationwide.